In Hello World a classic globe intercepts a rectilinear solid of milky acrylic. 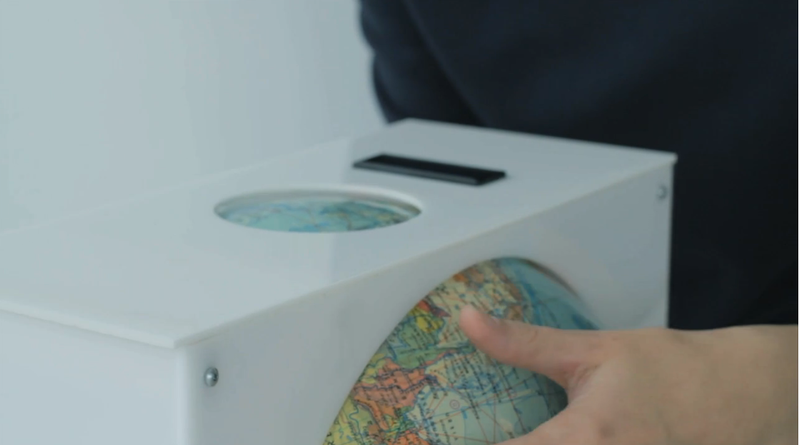 By manipulating the orientation of the globe, different areas of the world can be selected in the view port. A small display exhibits tweets from the area selected. This project appealed to me as a very elegant method of imputing location data. Reminicent of those horrible smartGlobes, yet much more intuitive and classy in it’s implementation. I find the concept of pulling tweets to a ‘lil LCD played out and uncompelling, but the sphere-in-cuboid navigation is really novel and intuitive, giving the user a reminder that we are on a large rock hurtling through space a 70-odd-thousand miles per hour. WordPresss still disallows iframes, so click through for short clip. 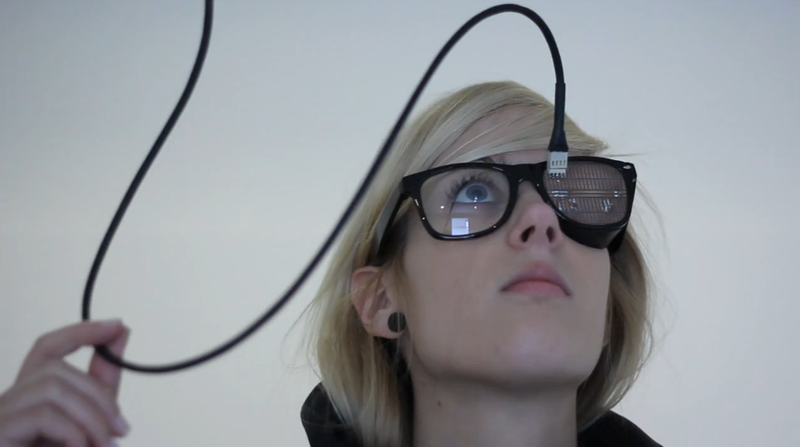 This piece consists of a pair of hip glasses frames with a blink tracking apparatus installed in place of one of the lenses. The when the wearer of these glasses blinks, the lights in the gallery turn off for the duration of the blink. Cute, hip, fun. This is goofy pretty nonsense, but I like it. Crystals, signal processing, pretty materials. RRATIONAL COMPUTING is an artistic test of material, esthetics and potentials of the digital. 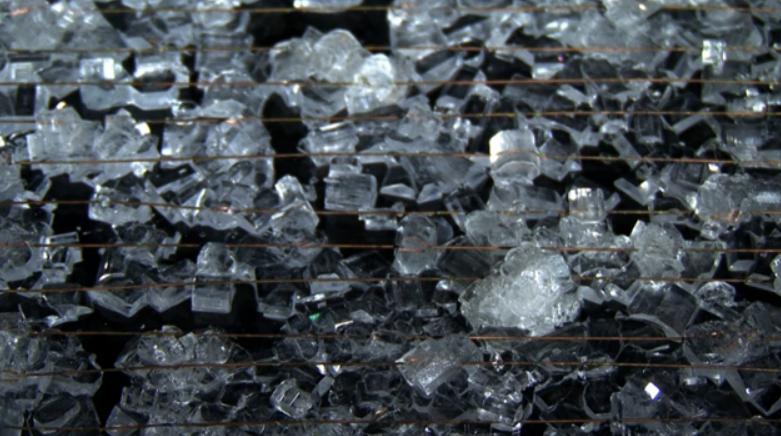 The installation is based on semiconductor crystals – the basic commodity of information technology. It consists of five interlinked modules that use the varied electrical and mechanical particularities and characteristics of crystals and minerals and, through their networking, form a kind of primitive macroscopic signal processor. “Irrational Computing” is not supposed to “function” – its aim is to search for the poetic elements on the border between “accuracy” and “chaos” amplifying the mystic and magic side of these materials.